Flipping back and forth between coverage of the Inaugural pagent yesterday evening, I decided to opt for the pre-code political drama, Washington Merry Go Round (1932). One scene in particular was greatly appropriate. Button Brown, (Lee Tracy) a freshman congressman is writing his first speech to deliver before the House. He gleefully tells his girlfriend/secretary, Contance Cummings that the speech is going to be the sensation of the political season: he's going to quote Lincoln! As he sits in his chair waiting to give his speech , an older congressman, a real blowhard of an orator gives a speech that uses the whole second half of the Gettysburg address. Poor Button Brown, naive enough to imagine that invoking the name of Lincoln would be an effective gimmick when half the men in congress are putting on fake beards and stovepipe hats to sell the latest additions to an appropriations bill. Button gets up and throws out his whole speech, spending his time deriding the specifics of a pork barrel bill. His speech is the sensations of the political season because it has the gall to speak truth to power. While there was a bit of that yesterday, the biggest surprise was that Obama, after being sworn in on Lincoln's Bible, mainly quoted George Washington. Like the far more familiar Mr. Smith Goes to..., Washington Merry Go-Round is the story of a young idealist congressman, out to rid the body politic of corruption who is nearly destroyed by the political machine he's trying to pull down. Instead of boys club activitists, Button employs Bonus Marchers and a gal Fridy who is romantic interest. The main difference is the cynicism of pre-code era. 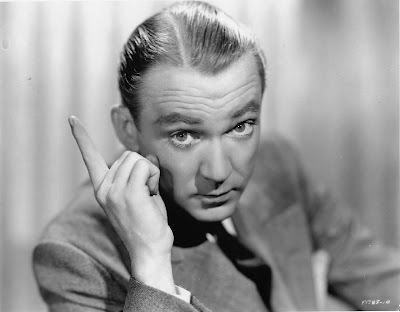 While Mr. Smith is played by earnest Jimmy Stewart, Button is played by a much tougher, slightly jaded Lee Tracy. Though his character is a newcomer, he understand the basic game. He gets to Washington on bought votes and plans to pull down the crooked machine which put him there. He quickly discovers that it's not just the party boss, but the powerful business interests who fund the party boss, that he must destroy and he goes after those bosses with ruthlessness. Sadly his mentor Senator Wylie (Walter Connoly) also gets pulled into his crusade and pays with his life. Button discovers that the philosophy that lies at the heart of the business interests is fascism. The head of this cabal describes himself as a "strong man" and looks up to Stalin and Mussolini as his models. He's been feeding the Bonus Marchers on the downlow, no doubt waiting to use them for some sinister purpose. The movie is set during a time of great crisis, at the beginning of the Depression in a country that is trying to see it's way out of Prohibition. Early in the film, Button addresses a crowd of Bonus marchers, men who've put their lives on hold to come to Washington to lobby for the bonus that was promised them as veterans of World War One. Button does something completely unexpected. He tells them to quit asking for a handout and help him root out cuorruption since they can't find work. He is nearly torn apart by an angry mob who doesn't want to hear this. In the weeks after one corporation after another has gone before congress to ask for a handout, it's a message that stills resonates. If Bonus Marchers, even fictional ones, can manage to pull themselves together to take on a cause bigger than themselves, then surely corporate America can do the same. You've made me very sorry I missed the film, it must have been so fitting to watch it that night! Thanks. I'm sure Obama, already gets my RSS feed! You've obviously absorbed Obama's message of hope and positive thinking.